What a week it has been! On Monday, all teachers reported to school for our Professional Development Day. It was great to see everyone in spite of my discomfort from having to sit all day long! While our administrators tried to get us up and moving as much as possible, it was still a long day! Having just had vascular surgery on one of my legs, I was feeling the pain at the end of the day. 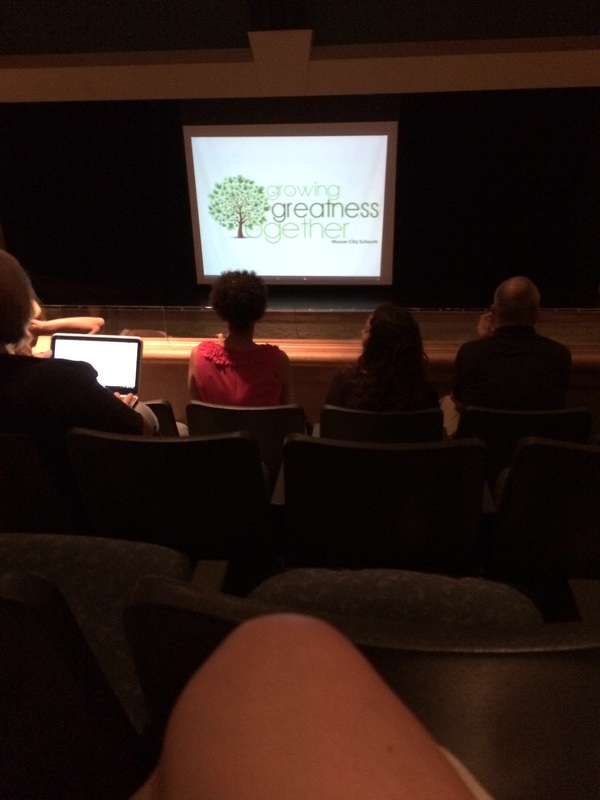 On Tuesday, we had our kick off presentation at the high school followed by a school meeting and lunch. The remainder of the day was spent working in our classrooms. I left the school that day feeling overwhelmed by the amount of new information and technology tools, but optimistic for a great first day on Wednesday. 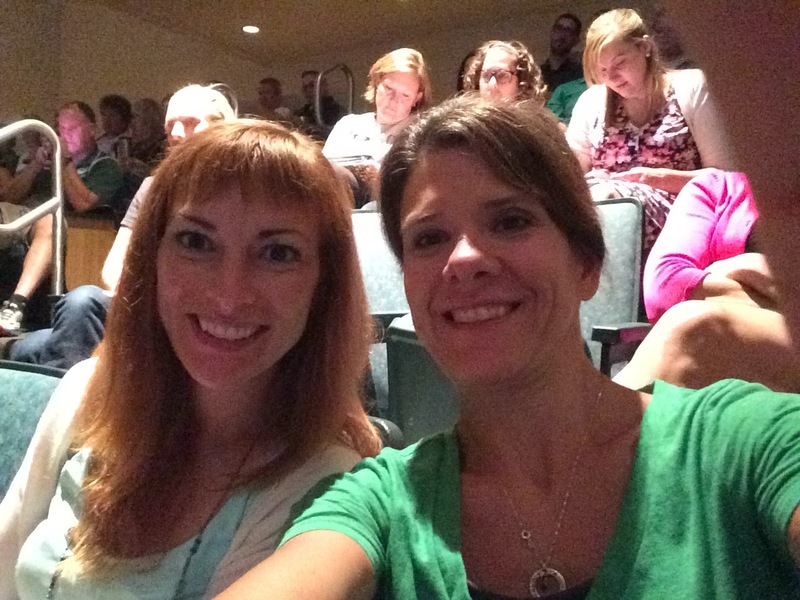 7th grade Spanish teachers are ready for a great year! We were up bright and early for the first day (except Molly who likes to sleep until the last minute). 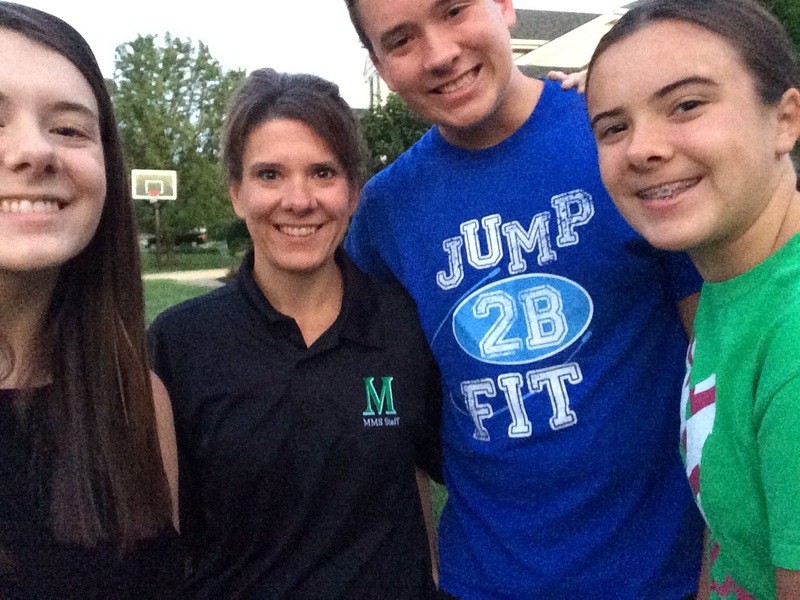 Here I am with my two high schoolers and Megan who will be with me at the middle school this year. Everyone was excited to see their friends and teachers. At the end of the day, the smiles were still visible. I think they’ve got this thing down by now. I also had a great first day meeting my new homeroom/family, my five classes of Spanish kids and my new research period class. This year, I’m in charge of a Research Period which is essentially a guided study hall. I love being able to work with kids to help them set goals and manage their priorities. I look forward to having a little bit of a change in my day! We ended the week exhausted, but content in our new grades and schools. We’ll see if that feeling remains when those alarms go off at 5am on Monday morning! Here’s hoping that your week went as smoothly as ours did!